5G wireless has been getting a lot of talk lately. While we've seen 4G LTE technology evolve rapidly over the past several years, with peak theoretical speeds surging from about 100 megabits per second to north of 1 gigabit per second, 5G promises another quantum leap in transfer speeds. Consider, for example, that wireless chip specialist Qualcomm (NASDAQ: QCOM) says its first 5G modem, the Snapdragon X50, can handle "multi-gigabit" download speeds. While tech specs are cool, you're probably wondering which companies can capitalize on the industrywide transition to 5G wireless. Three of them are Qualcomm, Broadcom (NASDAQ: AVGO), and Intel (NASDAQ: INTC). Wireless giant Qualcomm makes its money in two key ways: selling chips -- primarily applications processors to smartphone makers -- and licensing its vast portfolio of wireless patents to companies that sell cellular-capable devices. On the company's most recent earnings conference call, CEO Steve Mollenkopf highlighted the importance of the move to 5G, claiming that markets "are unforgiving to companies and competitors that are late to these transitions, especially in the initial ramp years." He added (emphasis mine): "Our focus and investment priorities over the last couple of years have enabled us to successfully establish a strong technology position and lead the 5G industry transition, which will represent a significant opportunity for Qualcomm to expand revenue and earnings as we exit fiscal 2019." Later during the call, the head of Qualcomm's chip business -- known as Qualcomm CDMA Technologies, or QCT -- expressed the company's view that 5G will be "a significant expansion, even on existing units, both in revenue and earnings for QCT, but also likely to be an expansion of share." Investors should keep an eye on how the 5G transition affects the company's chip business, as well as its licensing business, over the next couple of years. Broadcom, unlike Qualcomm, doesn't sell mobile applications processors or even standalone cellular modems. It does, however, sell a wide variety of chips that are key to enabling wireless capabilities in smartphones, including Wi-Fi, Bluetooth, and cellular. Like Qualcomm, it stands to benefit from the transition to 5G. On Broadcom's Sept. 6 earnings call, CEO Hock Tan cited the industrywide shift to 5G as something that will push its key customers -- including Apple (NASDAQ: AAPL), which makes up north of 60% of Broadcom's overall wireless revenue -- to keep buying its more advanced cellular chips. Those chips tend to cost more, boosting the amount of revenue the chip giant generates from each iPhone sold. Also worth noting is that the shift to 5G isn't likely to be a one-time thing for the industry. Just as 4G LTE has become more complex over time -- something Broadcom has profited handsomely from -- the 5G standard is set to evolve, too. 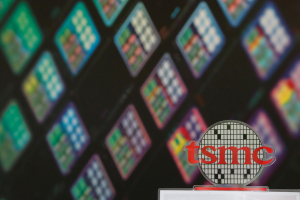 As long as Apple continues to endow its iPhones with increasingly capable cellular subsystems as 5G evolves, something it's likely to do to keep up with the competition, Broadcom's wireless business should continue to prosper. Intel pitches itself as an "end-to-end" 5G solution provider. Apple is said to be planning to adopt Intel's first commercially available modem, known as the XMM 8160, in the 2020 iPhones, and Intel is also set to power a large portion of the wireless infrastructure that will enable 5G networks. At the Consumer Electronics Show (CES) earlier this month, the company talked about an upcoming chip called Snow Ridge that was "developed specifically for 5G wireless access and edge computing." 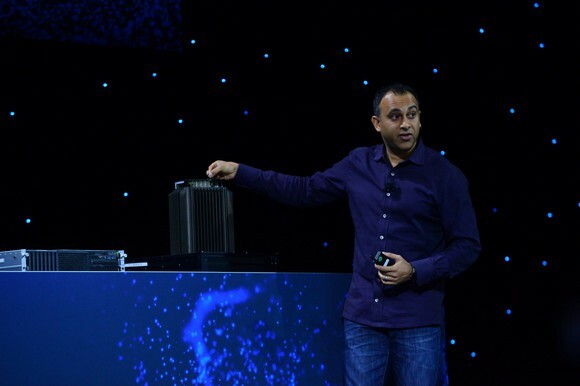 During the company's CES keynote, Navin Shenoy, the head of Intel's data-center group (DCG), the company's second largest business by revenue and the heart of its long-term growth strategy, indicated that the company's ambition is to, by 2022, grow the company's market share in cellular base stations to more than 40%. During its Oct. 25 earnings report, the chip giant said DCG revenue from communications service providers rose 30% year over year in its third quarter. So while current Intel CFO and interim CFO Bob Swan suggested last year that 5G modems will offer better profitability than current LTE products, the company also has a solid play on the infrastructure side of things. Ashraf Eassa owns shares of Qualcomm. The Motley Fool owns shares of and recommends Apple. 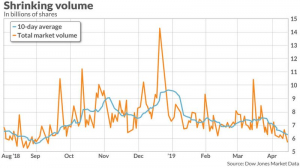 The Motley Fool owns shares of Qualcomm and has the following options: long January 2020 $150 calls on Apple and short January 2020 $155 calls on Apple. 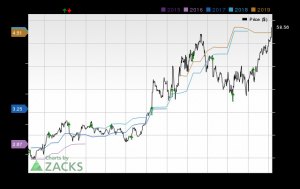 The Motley Fool recommends Broadcom Ltd. The Motley Fool has a disclosure policy.